Looking for the most fun place in Yukon to have a birthday party? Bounce Academy offers stress-free, non-stop action-packed gymnastics parties! Book your party early to reserve your preferred date and time! Only available times (highlighted in green) are listed on the Party calendar. Blank dates are fully booked. * Parents are NOT allowed to perform gymnastics on any of the Bounce Academy equipment. A $50 non-refundable non-transferable deposit is required at the time of booking to hold your time slot. The remaining balance is due on the day of the party. After the deposit is paid you may pick up invitations at your convenience. Invitations, coaches, tables and chairs and most importantly… clean-up! You provide the refreshments of your choice, paper goods and decorations. Bounce Academy has a Refrigerator/Freezer available for your use. Our birthday parties are an hour and a half of supervised gym time. The first hour is open gym time and the remaining thirty minutes is reserved for opening presents and eating cake. We may hold several birthday parties on one day, so as a courtesy to our staff and other patrons, you may arrive only 15 minutes early and must leave at your parties designated end-time. When booking your party at Bounce Academy please try to have a group size in mind that will be close to the actual party size. Bounce Academy wants to provide the proper size staff that will be adequate for your party. Final payment will be due on the day of the party after a final headcount. A liability waiver must be signed by each guest before they are allowed to play in the gym. Our liability waiver can be signed on this website. 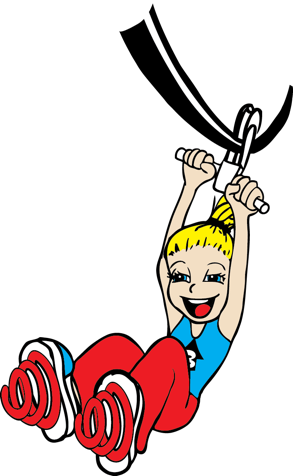 Simply hover your mouse over the Registration tab at the top of the page and click on RELEASE or you may fill out our digital waiver at Bounce Academy at the front desk.